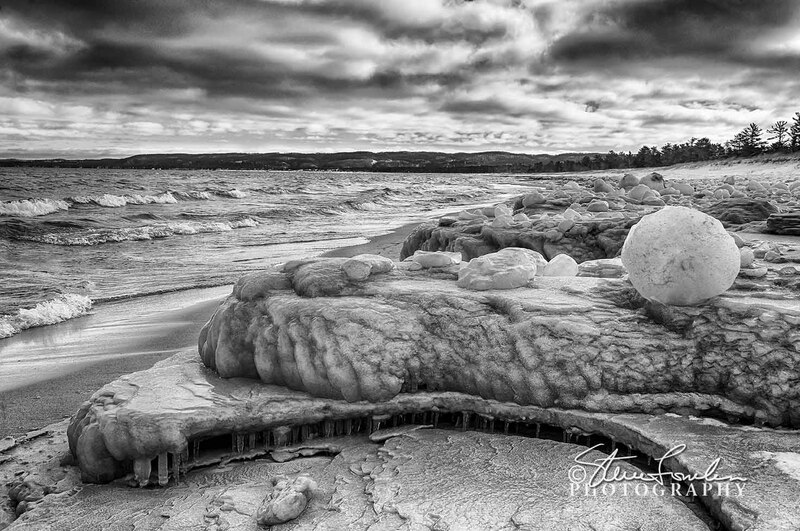 I went up to Good Harbor Bay in Leelanau County Monday March 4th in search of the ice boulders that had been making the news the previous week. After a bit of searching along the length of Lake Michigan Road at the Sleeping Bear lakeshore I found what, at least, was left of the phenomenon. 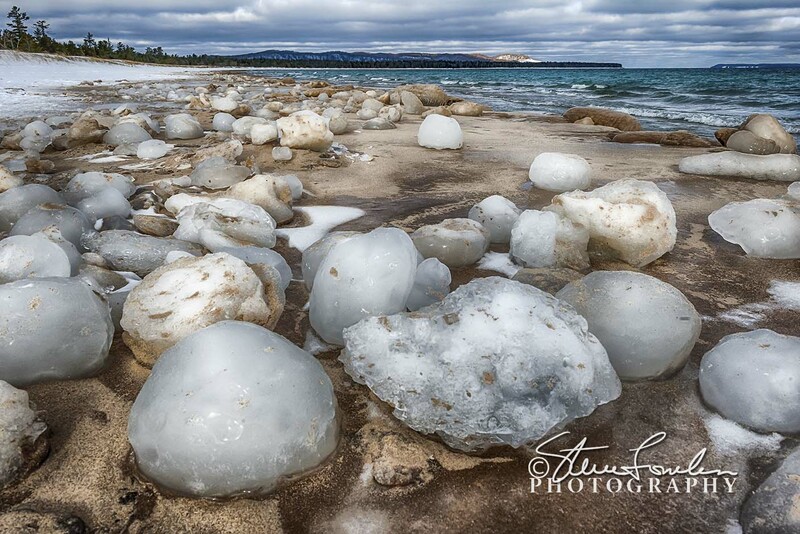 It is not an uncommon occurrence to have large spheres of ice to form along the lakeshore and collect on the beach but it doesn’t happen every week either. The frozen shorelines wherever you go on the great lakes change weekly and even daily so you never know what you will find but it will always be fascinating and beautiful. The first shot is looking west toward Pyramid Point with Manitou Island to the left. Shot with my Nikon D700, Nikon 24-70 f2.8 @ 24mm, 5 exposure HDR composition processed in Nik and adjusted in CS6. The second shot is looking to the west at some shelf ice and one nice ice boulder. Shot with my Nikon D700, Nikon 24-70 f2.8 @ 24mm, 5 exposure HDR composition processed in Nik, adjusted in CS6 then converted to b&w in Silver Efx Pro. I did remove a radio antenna on the far shore because I’m not that much of a purist.